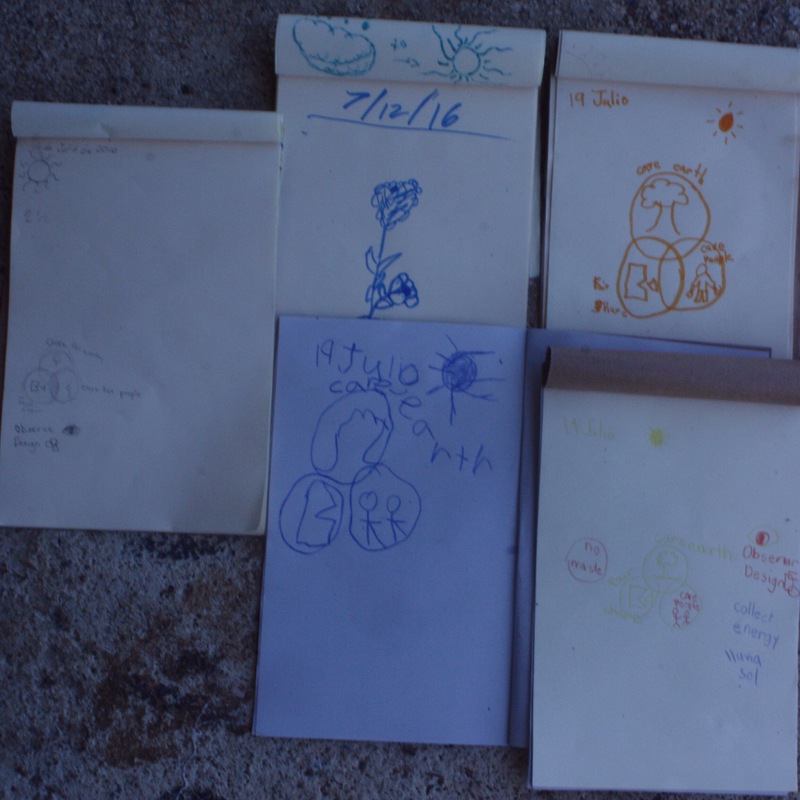 At the closing of La Potería campamento – Beautiful evening viewing all of the art (and friendships) created over the past month… and the studio was glowing! 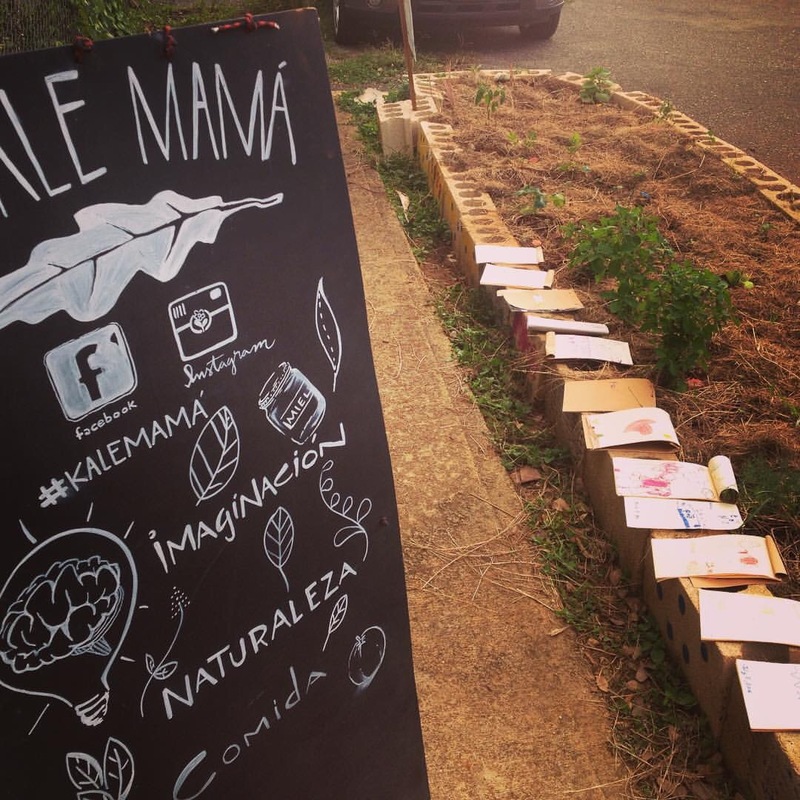 Kale Mamá had the opportunity to collaborate with La Potería to create this urban garden, huerto comunitario; teaching about urban permaculture, food security, along with nature journaling. 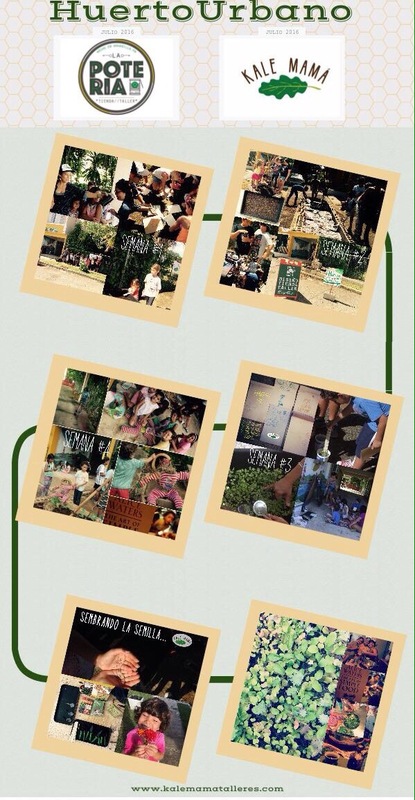 Thanks to Start Your Garden for donated plants and AP Sketch Co. for our sign design! 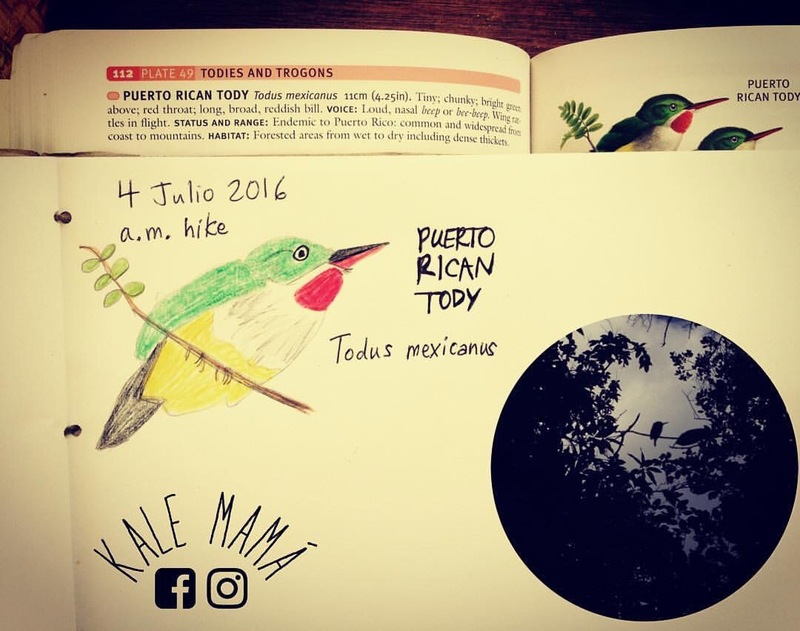 Kalemamá had a beautiful encounter with a Puerto Rican Tody todus mexicanus while out hiking , returned home to sketch in my nature journal – from a field guide, but while out there, it allowed me to watch it and see its’ beautiful red throat for a few minutes! 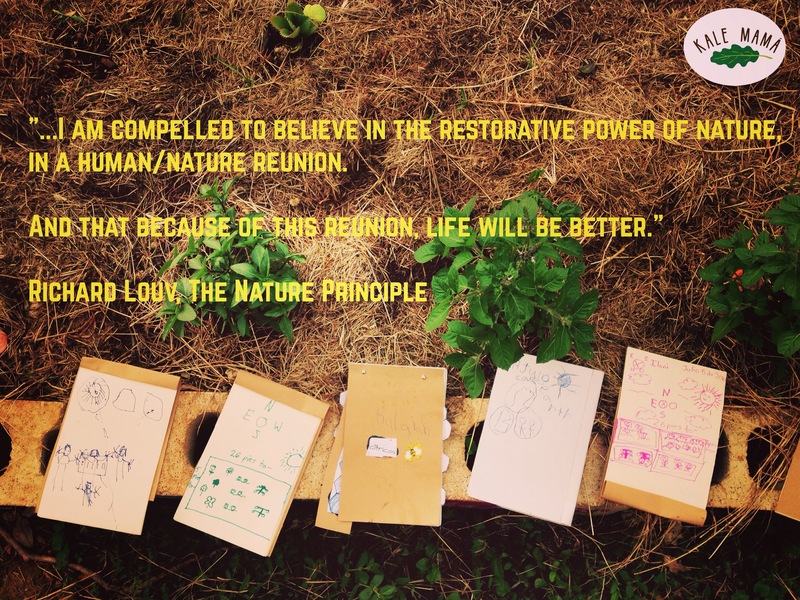 It’s crazy how in that moment – I felt so connected, so alive, so happy to have chosen to get outside that day and explore and so inspired to continue to share nature activities with kids and others !